Up until the 1990s, Maranatha had mostly built churches. 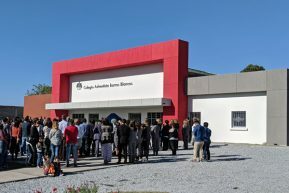 But there was a great need for academic facilities, and Maranatha wanted to explore ways of building affordable and effective school buildings for underserved areas in Central America. The goal was to design a structure that could not only accommodate students, but also serve as a community center on weekends. After finalizing the building design, Maranatha partnered with a private foundation focused on education to fund the buildings. 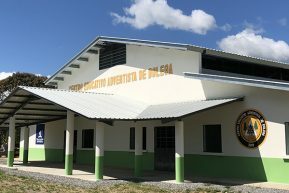 The first Education and Evangelism Center, as they were named, was built in Panama in 1996. Today, through the support of the same foundation, Maranatha has constructed more than 100 Education and Evangelism Centers in several regions of the world. The standard 6-classroom Education and Evangelism Center spans approximately 7,000 square feet and optimally accommodates 180 students, with room for hundreds in the auditorium. In addition to the classrooms, the building also encompasses offices and restrooms. Classrooms open up into a large, central auditorium, which is used for assemblies, gym class, and a playground on rainy days. The building frame is made from steel beams that are manufactured from Maranatha’s shop in Panama. Exterior and interior walls are made from reinforced block that are then covered with stucco or plastered and painted. The elevated roof is designed to promote air circulation throughout the building. Additional classrooms can be added to the design, depending on the needs of the school. Each classroom optimally seats 30 students. 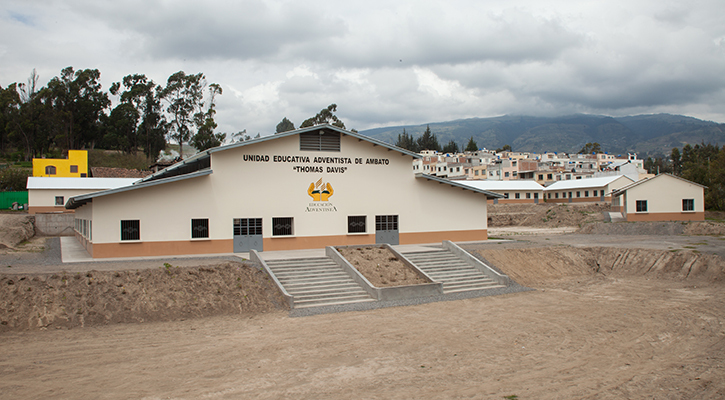 In recent years, many of the schools constructed have 8-10 classrooms. School administration also tends to use the school in morning, afternoon, or evening shifts for various grade levels—increasing the number of students who pass through the facility. In 2013, Maranatha began building the structures in India, using a local manufacturer for the steel frame and roof. In India, walls are constructed with metal puff panels for the walls, instead of blocks.